A family trip to one of New England’s affordable amusement parks includes summertime fun in the water, some of the nation’s best thrill rides, all within a family-themed atmosphere. 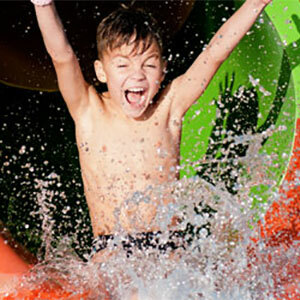 Chill out in swimming pools, water slides, log flumes and other water park activities. 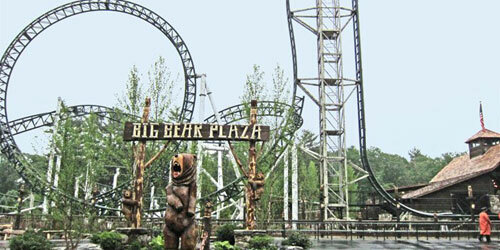 Enjoy the high-flying thrills of roller coasters, vertical drops, trampolines, zip lines and more! 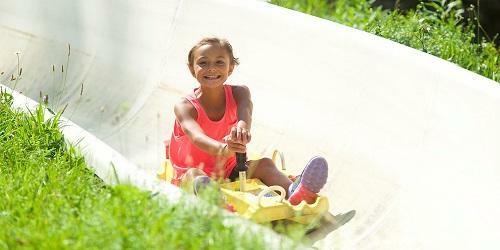 Picnic areas and plenty of concessions complete a thrill-filled family vacation. And remember, there are lots of other great family activities, like aquariums, re-created historic towns, kids' museums and science museums. Explore on your family getaway. Santa’s Village in New Hampshire’s White Mountains is the only New England park to earn recognition as one of the Top 25 Amusement Parks in the USA in the TripAdvisor 2014 Travelers’ Choice Awards! It’s a full day of rides and shows, cookies and elves, Santa and his reindeer – plus the fun of the Ho Ho H2O water park. Owned and operated by three generations of its founding family for more than 60 years, an annual visit to Santa’s Village is a New England family tradition. Oh, what fun it is! Seasons: Open Memorial Day weekend to Christmas. Ninety years ago, Clark’s Trading Post began when Ed & Florence Clark invited travelers to tour their sled-dog ranch. It’s been a must-see stop ever since, now famous not only for its trained bear show but also its steam railroad, antique Americana and Segway rides, Yandong's Chinese Circus and Merlin's Mystical Mansion. Kids love the water blaster boats, Old Man rock-climbing wall and Tuttle's laser shooting gallery. Enjoy a burger at the Whistle Stop, a slice of pizza and Pullman's or an ice cream sundae at the Peppermint Saloon. Tickets include all rides, all shows, all day. Quassy Amusement Park, founded in 1908, sits on the south shore of Lake Quassapaug in Middlebury, Connecticut. 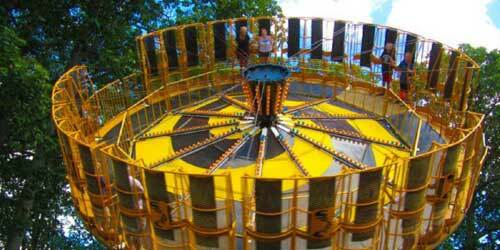 On its 20 plus acres, it boasts 22 rides including the award-winning "Wooden Warrior" roller coaster, new Frantic and Reverse Time thrill rides, a Grand Carousel, and a variety of family rides as well as attractions for the very young. 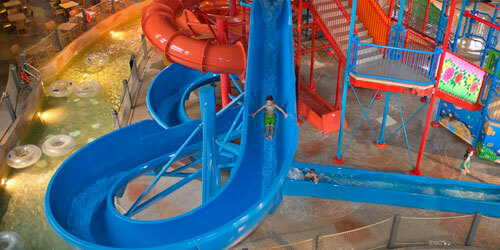 Visit "Splash Away Bay", the sensational water park with new water slides and a splash pad just for the little guys. 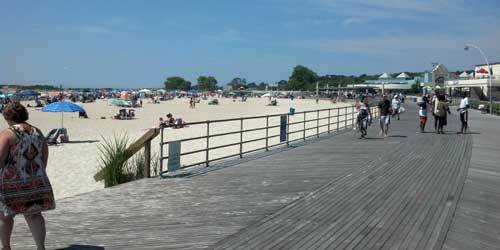 Cool off in Lake Quassapaug at Quassy Beach and cap off the day with a frozen treat from Quassy's Ice Cream Parlor. The park also offers an arcade, live entertainment, and a restaurant. 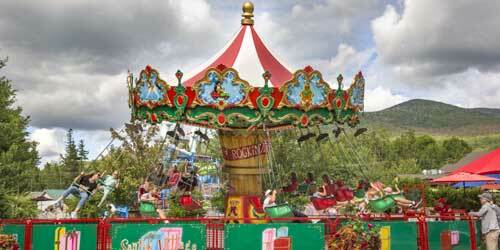 Quassy offers the entire family affordable fun. Obviously, Quassy is the place for you! York's Wild Kingdom includes an old-fashioned beach amusement park geared for smaller children, with more than 20 rides to entertain you! Remember the fun you once had on the merry-go-round, the glass house, the super slide, the wacky mouse, and the ferris wheel? Now you can watch your kids enjoy the same thrills, or on many rides climb aboard yourself and join them. Bring a lunch for a picnic in our park, or grab refreshments at our snack bars. 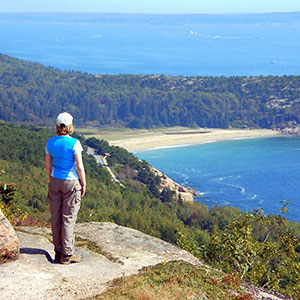 Enjoy the best fried dough on Maine's seacoast. 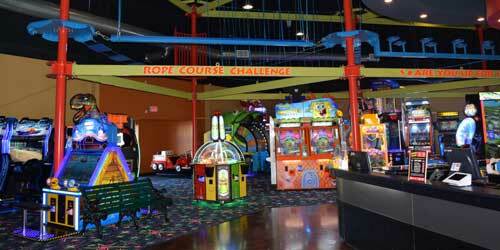 We've also got an 18-hole mini-golf course, batting cages, go-karts, midway games, and an arcade. 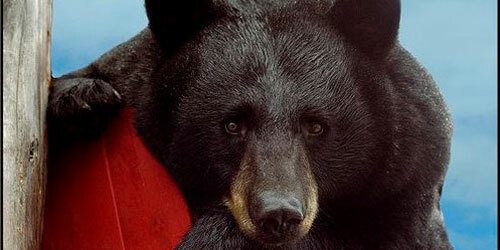 Visit our zoo, too. It's home to lions, tigers, monkeys, mandrills, and fluttering creatures in our Butterfly Kingdom. 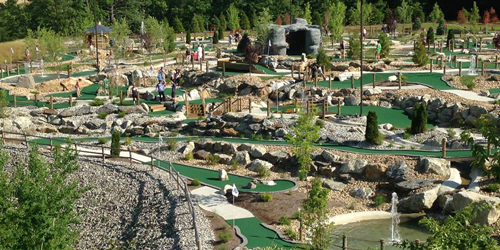 If mini golf is your game, remember this name: Chuckster’s. 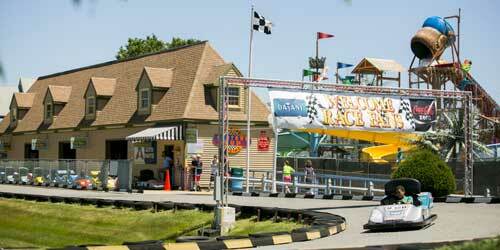 The amusement center’s locations in Chichester, Hooksett and Alton Bay have huge, imaginative courses, with unique obstacles in beautiful settings, from fountains to “fire stations.” Alton Bay also is next door to a paddleboard- and kayak-rental company. And in Chichester, there is a fabulous aerial adventure park when you can zipline and otherwise traverse the woods above the ground. Chichester also is home to amusements from go-karts and paddle boats to climbing walls, batting cages, inflated slides and balloon and basketball-shooting games (where losers get quick showers). Three dozen flavors of ice cream are available at all three locations; Chichester has pizza, wings and other delights. Amusement parks don’t get better than this - with a water park thrown in! 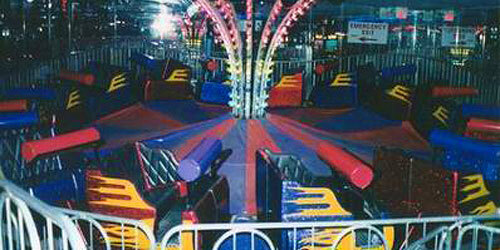 Funtown Splashtown USA is where you go in Maine to double your fun. Before you cool off in the water rides, you can work up a sweat on other thrilling activities, such as plunging down Dragon’s Descent. 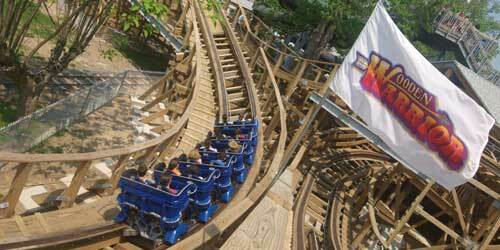 You have your choice of the state’s only wooden roller coaster, Excalibur, for rattlin’ good fun, or their solid steel coaster, the Wild Mouse, for a faster and "swoopier" time of your life. 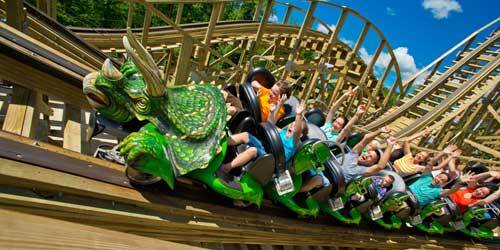 To enjoy zipping around while cooling down, try New England’s tallest and longest log flume ride, Thunder Falls. With 50 rides and slides, pools and plummets, you won’t likely run out of fun at Funtown Splashtown USA. Every day is an unforgettable adventure! Since 1954, this popular amusement park in the scenic White Mountains has offered family entertainment specially crafted for kids. Enjoy more shows, rides and play areas than ever before! Have dinner with your favorite characters, sit with Cinderella at Tea Time and sing along with Daniel Tiger during his NEW Grr-ific Stage Show! You’ll make a splash on the Bamboo Chutes, scream aboard our thrilling roller coaster, Roar-O-Saurus, and meet real-life storybook characters. You’ll search for prehistoric fossils, play in the Dig-M-Deeper sand box and immerse yourself in rhymes in the Little Dreamers play areas. There’s a free kennel for your pooch, lockers, and rentals for strollers, wheelchairs and ECV’s. 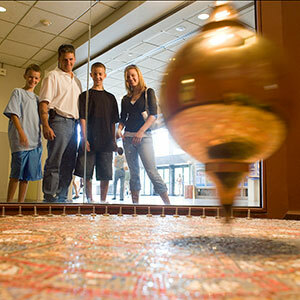 Nearby is the best in family lodging for a sweet night’s sleep.